When Malala Yousafzai came to know that she was on the cover of TIME Magazine's 100 Most Influential People list in 2013, it hardly impressed her as she told her father, "I do not believe in such categorisation of human beings". Her father Ziauddin Yousafzai talks about this interesting fact in his new book "Let Her Fly: A Father's Journey and the Fight for Equality". Malala was on the cover and inside she was ranked number 15. President Barack Obama was 51st. A driver named Shahid Hussain in Britain showed a copy of the magazine on his phone to Ziauddin who in turn showed it to his daughter. While Malala was in the hospital, first full-time, then visiting for ongoing treatment, (wife Toor) Pekai and I needed somebody to drive us to and from the facility. One day, our driver, Shahid Hussain, who had become our friend, arrived with news of TIME magazine's 2013 list of the 100 most influential people in the world, Ziauddin writes. Please I request you show this report to her. She will be so happy, Hussain told Ziauddin. He gave his mobile phone to show her. Ziauddin took the phone and showed it to Malala. I was so proud of what was on the screen. She took the phone from me and studied it. And then she put it down. Well,' she said, I do not believe in such categorisation of human beings', he writes in the book published by WH Allen. For over 20 years, Ziauddin has been fighting for equality, first for Malala and then for all girls throughout the world living in patriarchal societies. Taught as a young boy in Pakistan to believe that he was inherently better than his sisters, Ziauddin rebelled against inequality at a young age. And when he had a daughter himself he vowed that Malala would have an education, something usually only given to boys and he founded a school that she could attend. 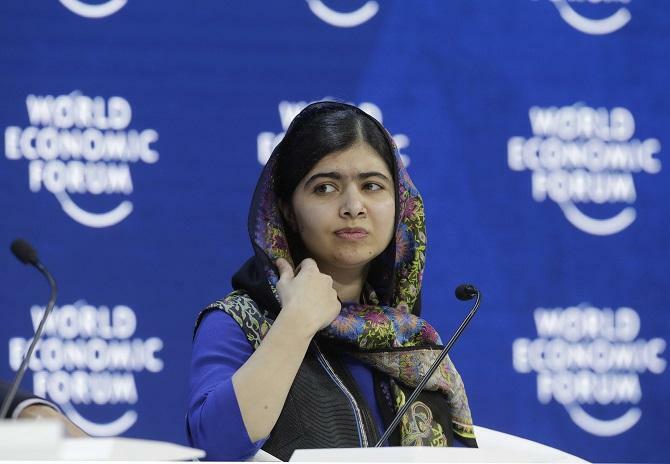 Then in 2012, Malala was shot for standing up to the Taliban by continuing to go to her father's school and Ziauddin almost lost the very person for whom his fight for equality began. Let Her Fly is Ziauddin's journey from a stammering boy growing up in a tiny village high in the mountains of Pakistan, through to being an activist for equality and the father of the youngest ever recipient of the Nobel Peace Prize and now one of the most influential and inspiring young women on the planet. Told through intimate portraits of each of Ziauddin's closest relationships - as a son to a traditional father; as a father to Malala and her brothers, educated and growing up in the West; as a husband to a wife finally learning to read and write; as a brother to five sisters still living in the patriarchy the book looks at what it means to love, to have courage and fight for what is inherently right.